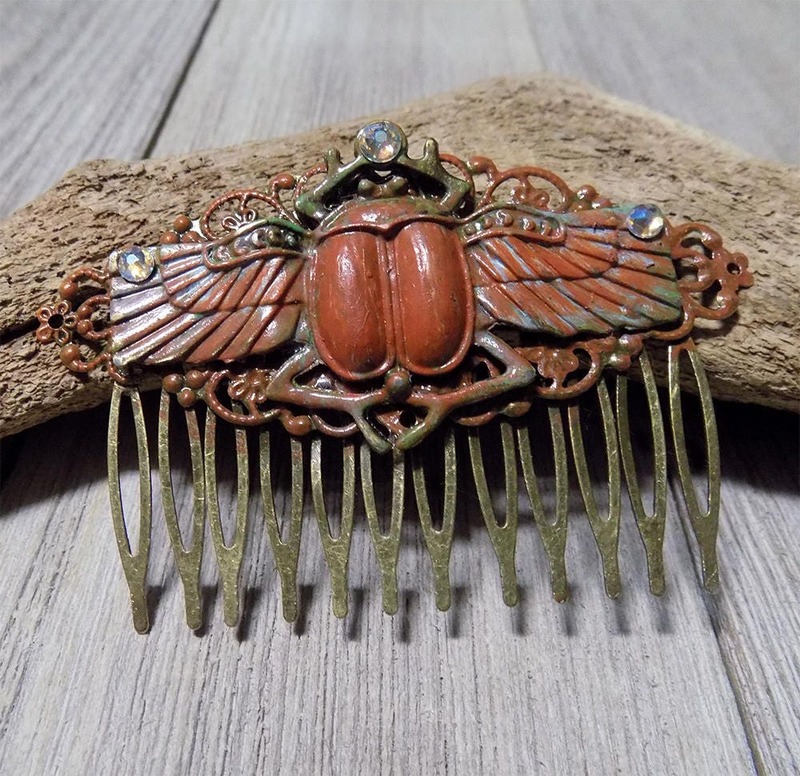 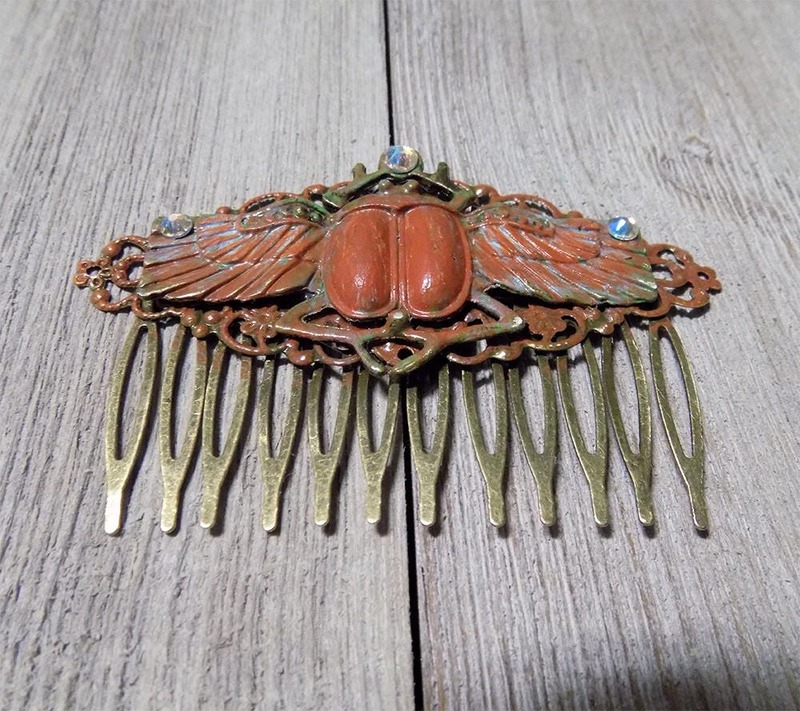 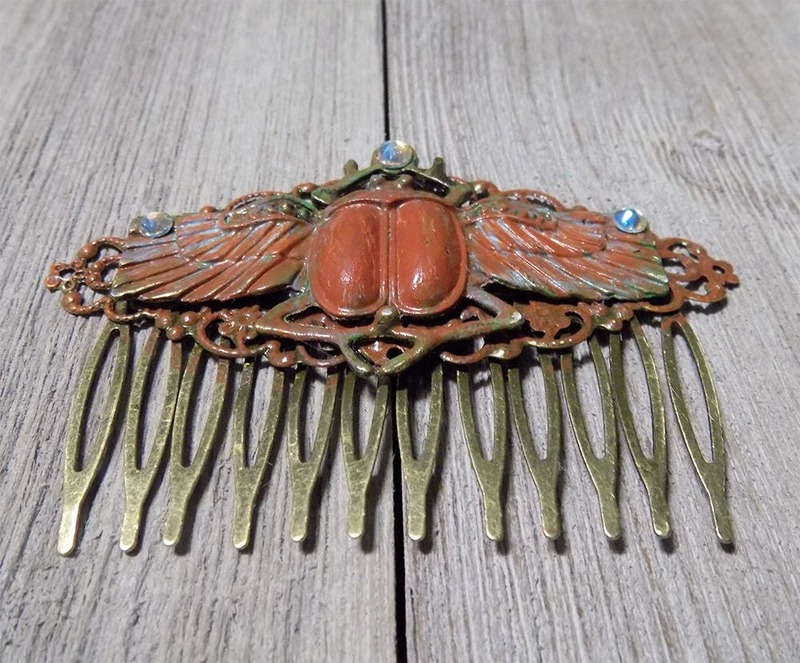 This gorgeous Egyptian scarab comb features a filigree antique bronze base that is hand painted in a rusty orange with slight blue accents. 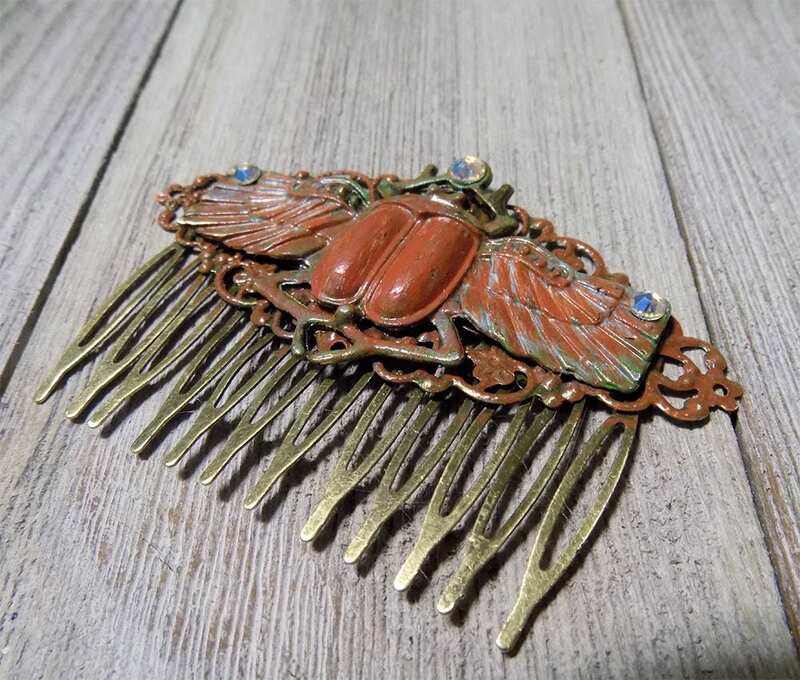 A beautiful winged scarab sits atop with adorned gems of swarovski crystal elements on the wings and top legs. 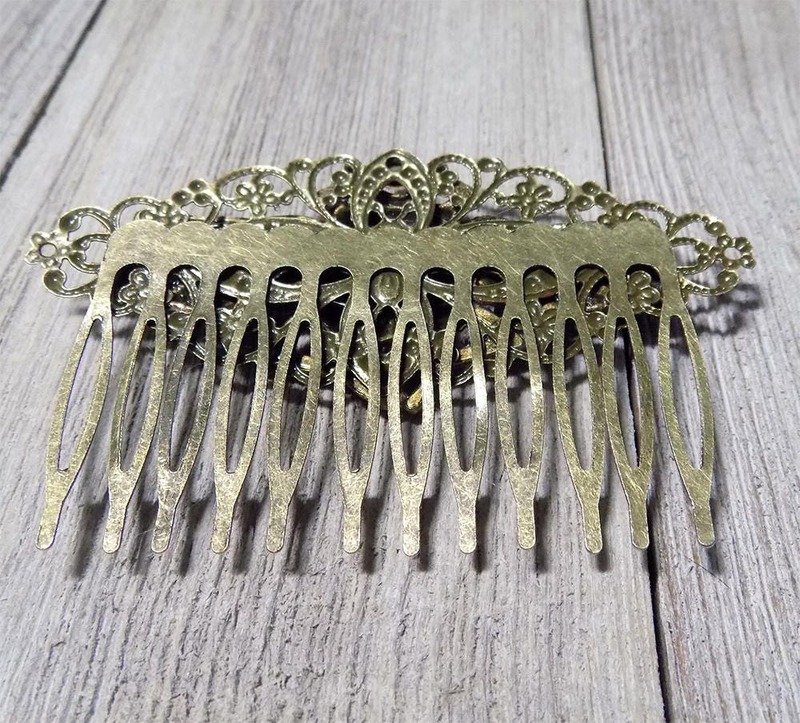 While experimenting with this style of hair comb in my own hair, I found it easier to set up a hairstyle with a base to support the comb in, rather than depending on the comb to support the hair since this style of comb has slightly shorter teeth than traditional styles. 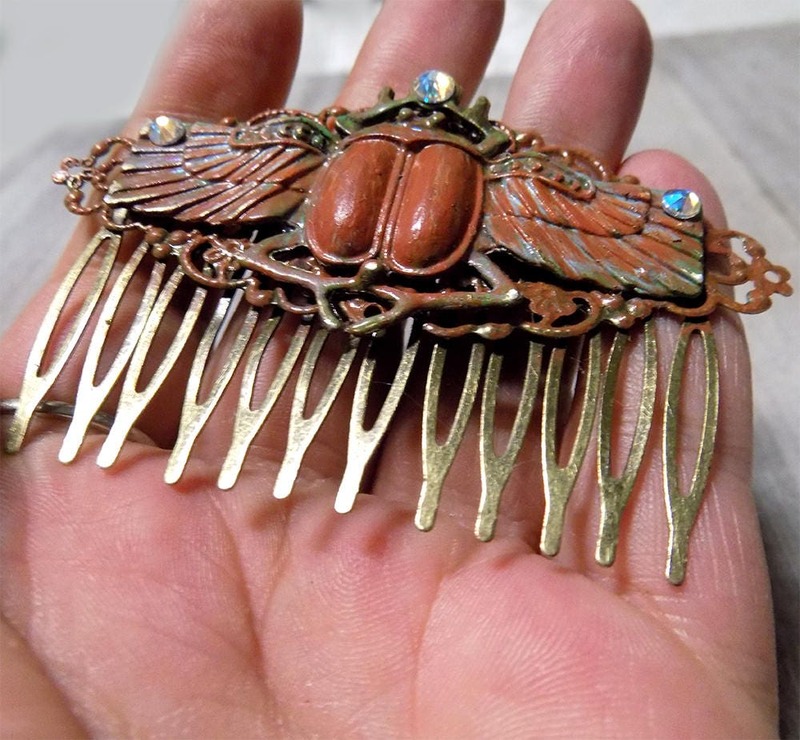 Feel free to contact me if you have any questions or concerns.